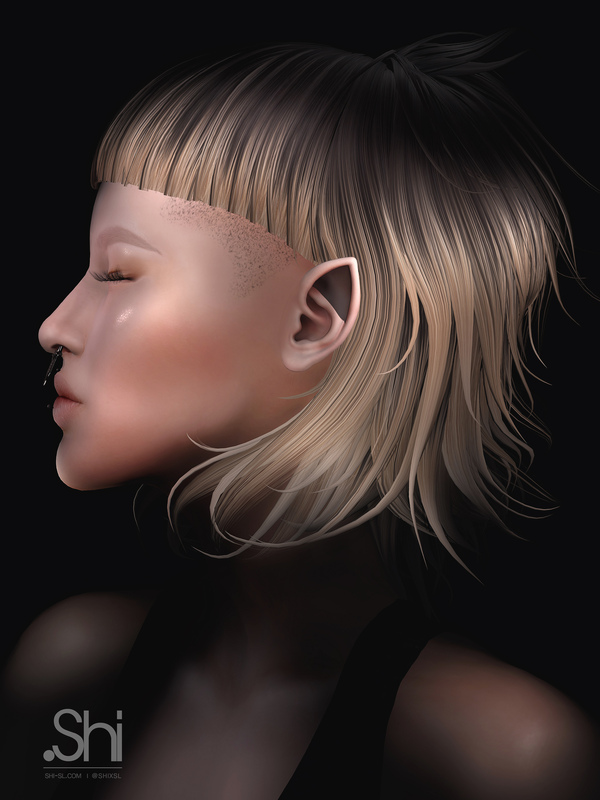 New hair Sa-Rah available now at Uber event. Sa-Rah here translates to Persevere. Sa-Rah is a short version of a “Modern Shag” cut or known as “Octopus” back in the days. With a wide cropped bangs/ fringe to accentuate the facial features when worn in union with the side profiles bringing the entire look together to present a refreshing yet modern punk style. A longer version of this will be available as a separate release in the mainstore on 22nd July. Modern Shag / Octopus Definition – It is a technique that creates various layers of lengths, focusing on creating fullness / volume around the crown with thinner / feathered edges. While this hair was made with the ladies in mind, it can also look cool on men. Give the demo a try and decide if you can pull it off :). The above advert features the hair in color 1 from the “Dips“ set.